Please note that the following information with regard to fries only applies to Australian outlets outside of Western Australia only. I have been informed that dedicated fryers are used for cooking their fries in this particular region of Australia. West Australian franchises are managed separately to those in other states and territories around the country. Please forgive me for any misunderstandings I may have caused by being 'overly cautious'. This is good news for individuals travelling around, or living in, Western Australia. Please note that Hash Browns are cooked in the same vat as other gluten-containing items at stores across Australia, including W.A. As a fellow Coeliac sufferer, I feel compelled to help others where I can. I have had many experiences, both good and bad. Each hub posted about businesses misusing the gluten free term is legitimate. Opinions are not submitted unless they are substantiated. I do my very best in this regard to warn my fellow Coeliacs about particular issues, especially with foodservice outlets. Their Hash Browns(/Fries) are NOT what they say they are! 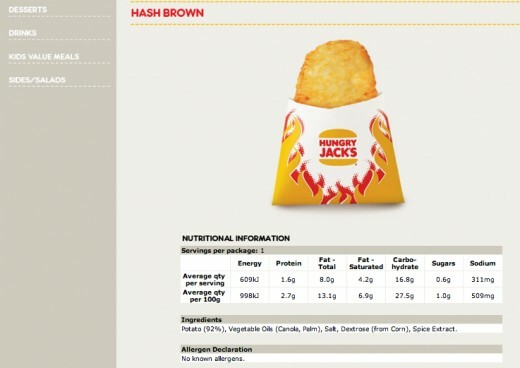 If you were to look at the Hungry Jacks website, and look for their ingredient listings for fries and hash browns, you would discover that there appears to be no gluten or any allergens present in the product. If you were to then go to a Hungry Jacks store and buy the chips or hash browns without asking the staff before-hand, however, you could get yourself into BIG trouble! Some Coeliac consumers are complacent about following up on matters related to their health. Others don't like to advertise being on a gluten free diet. Accurate information on the web is VITAL for individuals to make informed decisions as to the foods they can and can't eat. 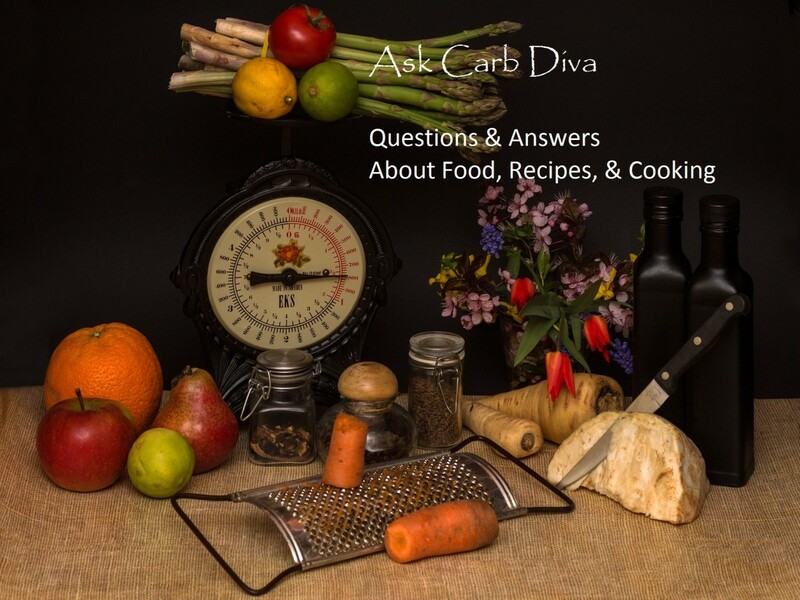 Either ACCURATELY list the ingredients or DON'T provide a listing online at all! So, what can I say to such consumers out there? SIMPLE! Don't waste your time with these guys! They clearly aren't interested in being of any assistance to us coeliacs (except for maybe bun-less burgers) and as can be seen are not one bit trustworthy. I know for a fact that soy, milk and other allergens are present in the hash browns, too, due to cross-contamination. This is NOT declared properly, either! It is ILLEGAL to not provide accurate ingredient information! 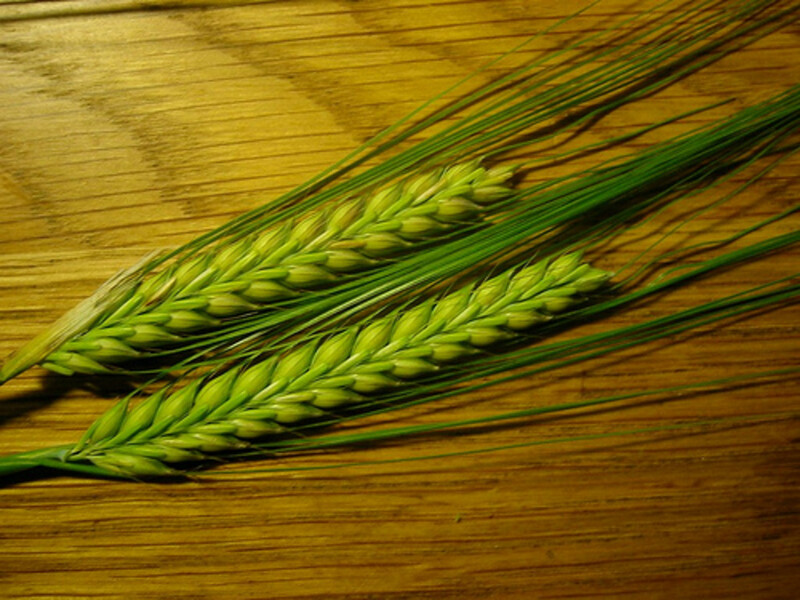 None of the following: wheat, rye, barley, oats - are declared! 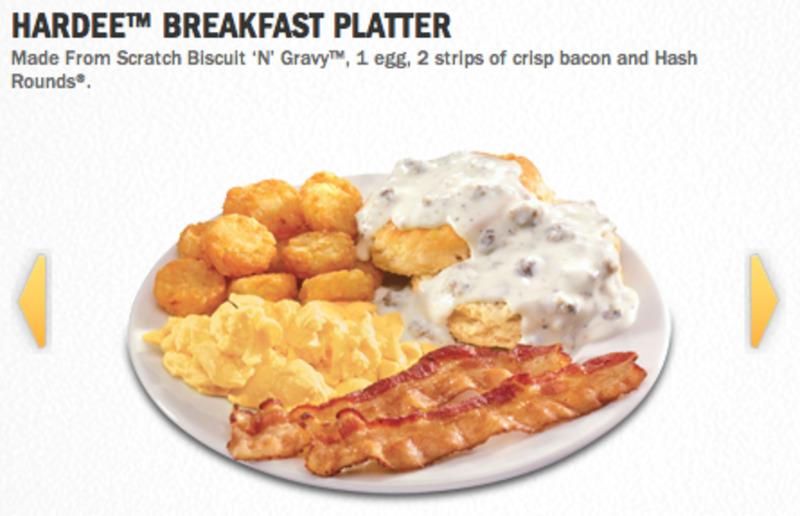 Yet the aforementioned hash browns and possibly fries contain gluten, due to cross-contamination. From what I hear staff don't even know what's going on! This is definitely a no-go destination for any Coeliac and I would urge you as an affected individual to avoid them at all costs. They have not addressed issues that are repeatedly arising and completely deny their flawed information on their website. COMPLETELY!! This is NOT good enough, and I will be reporting this issue to the relevant authorities as I feel this nonchalant attitude about labeling could become a life-threatening case if preventative action isn't taken! Leave a reply, and let me know your views. I would be interested on others' opinions, especially with relation to this particular Hungry Jack's scenario. I am 10 years of age .I have been getting sick wenever I eat foods with gluten in them. I am just wondering if any of the hungry jacks nd or fast food restaurant have any gluten free foods..... that I can eat..
My girlfriend is ceoliac, so I know full well the hassle of eating out However, I still don't believe that any restaurant 'has' to provide gluten-free options at all. Absolutely, that if they do advertise a particular menu they should make sure their staff are informed and all appripriate measures are taken, but as someone who knows how businss works, I can say with almost certainty that nowhere will offer gluten-free if laws were passed to enforce such stringency. I'm afraid though, as the final page on the allergen guide suggests, the allegedly *GLUTEN FREE* hash browns are NOT gluten free. Possible allergens that may be transferred to these products include wheat, gluten, soy, milk, egg and sulphites. Yet it is clearly stated on earlier pages (under that the hash browns do not contain these allergens (as shown under the relevant columns) as well as on the menu page from their website (stating "no known allergens". I have altered the image above (from fries to hash browns) to make this distinction clear. Comments on this hub shall remain open as it is obvious that there are still many concerns relating to the accuracy of ingredient labelling at this food outlet. This is a concern for individuals allergic to milk, soy, egg, sulphites and wheat as well as those with coeliac disease. In my opinion, this restaurant remains a no-go destination for anyone with the aforementioned food issues outlined. It is obvious that there are concerns here, very few of which have been addressed and I would not recommend supporting such a business that insists of falsely marketing their products. I have worked for hungry jacks for over 10 years and worked in over 14 different stores. Not once have I ever seen fries cooked in the same fryer as chicken products. There are designated fryers for fries and designated fryers for chicken, the oil is emptied and filled with fresh oil on a frequent basis. Perhaps my wording was unclear in the initial article. Having 're-listened' to the initial conversation with their HQ staff, I am able to confirm that the fries are cooked "in the same fryer as the chicken nuggets". The representative, to whom I conversed with, advised me that this was *normal* at all practices. Thanks for your input, HJVIC. I shall 're-phone' the corporate centre during office hours later today, questioning them in a *more direct* manner, to clear up this matter. Out of curiosity, what exactly would you mean by the fact that franchises aren't controlled by the company? I'd be curious as to how this works. You're twisting their words... when they said same oil, they didn't mean that they fry all products in the same vat. What they meant was, all their products are fried in the same type of oil which is cholesterol free pure vegetable oil. Please be assured fries are cooked separately from the other fried foods and has done as far as i can remember and therefore the website hasn't mislead the general public in anyway. Being coeliac myself and constantly eating the fries we prepare, i can assure you there are no health risks. I'm sure the company would say the same thing had you asked them your question in a more direct manner. A conglomerate like Hungry Jack's, especially a business with 90% of its stores operated by the company itself, have very strict health guidelines to adhere to and can not and does not stretch outside these guidelines. You're absolutely right, dingo. They SHOULD be TOTALLY and UTTERLY ashamed of their attitude. Sadly, however, they aren't. Not only did they deny that there was a problem with labelling on their website, they were nothing but completely unfriendly and dismissive toward me over the phone as well. It *SICKENS* me that businesses are so tuned in to money-grubby capitalism and exploitation of niche markets that the can't even address the concerns we have as consumers. If they can't properly declare ingredients on their website, they should not declare ingredients at all. What other ingredients are present in their cooked fries? Antifoam, Antioxidant, Animal Fat, Traces of Animal Derivatives? The list could go on and on and on! I would NOT recommend this business to anyone at all, to be quite honest. Anyone with food issues should avoid this destination completely. FULL STOP. It can be very hard to eat out when you have food problems. They should be totally ashamed of themselves for leading their diners astray! When phoning Hungry Jacks, I specifically asked about the fries in terms of 'whether they are gluten free!'. This occurred after I had received 2 complaints suggesting that I post a hub on this issue. As for fries being cooked in separate fryers, I have been informed that the oil used to cook the French Fries could well be left-over oil previously used to cook chicken nuggets. I can see exactly where you're coming from and I acknowledge that my description above may have not been that clear. Thanks for informing me on this, The know. Maybe it is how u word the question. Yes the same oil used to cook fries is used to cook nuggets etc But as stated above they are cooked in separate fryers. If u ring any store or office regards this and ask are your fries cooked in the same fryers as chicken etc u will get an answer which is there are separate fryers. G, I have contacted a number of other coeliacs and others of whom I know work at Hungry Jacks in various areas across Australia (excluding Western Australia). I also contacted their HQ in Brisbane and they informed me that the fries are typically cooked in the same oil as that used for cooking their chicken nuggets. I have edited this entry to make the distinction clear. Thank you for commenting. This is not the case in regard to fries. At my Hungry Jacks outlet, we have 2 dedicated fryers to battered food (onion rings and chicken) and 4 fryers dedicated to fries. Please do not post misleading information. This is protocol, and Senior staff constantly come in and reinforce these strict rules. We have some good businesses here in Australia, too. 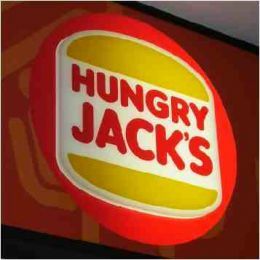 It's just that the information supplied on the Hungry Jack's website www.hungryjacks.com.au is inaccurate. As well, the staff don't seem to know whether their fries are being cooked in the same oil as other things half the time. THEIR WEBSITE IS MISLEADING. If you came to Australia I would recommend McDonald's as their fries are not only cooked completely in their own oil but there appears to be extremely little chance of cross-contamination. This was the first place I knew I could eat after having first being diagnosed. I advise every person reading this blog, particularly people with dietary needs, to avoid Hungry Jacks at all reasonable costs! Go eleswhere. Don't support the businesses that don't support you! 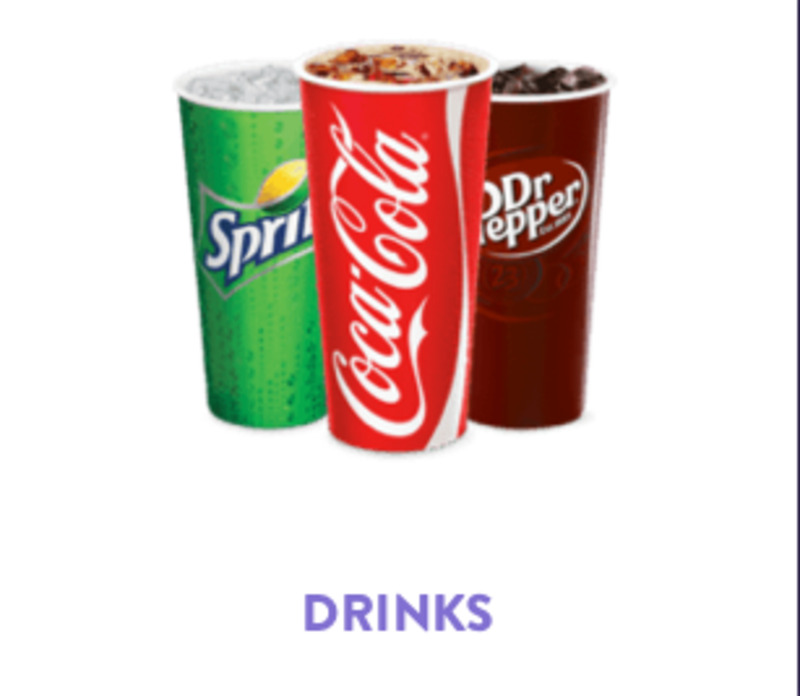 As I live in the UK, I have not come across Hungry Jacks but I am finding that Restaurants and Food outlets are becoming more aware of Coeliac. The trouble is, that I do not have confidence in the level of staff training and awareness. The fact that allegedly gluten - free fries were cooked in the same oil as everything else at Hungry Jacks highlights this. However, there are places near me that I trust and I have also found that supermarkets like Waitrose (if you shop online) will help you to shop by dietary need for their own brand products which is absolutely brilliant, no more scouring the shelves and reading all the small print on labels. Thanks for a timely and helpful article. I am quite upset with Hungry Jacks especially, too as I thought there would be something I could have. Sadly, not the case as I discovered. I'm glad I'm not alone in this!